How often does identity theft occur to residents of your city? What expertise do they have in terms of cyber security and how is it organized to respond to cyber-attacks? Will Rio de Janeiro’s Wi-Fi access go down, for example, because of attacks during the 2016 Olympic Games? How aware is the local population of digital security and protecting their online information for example? 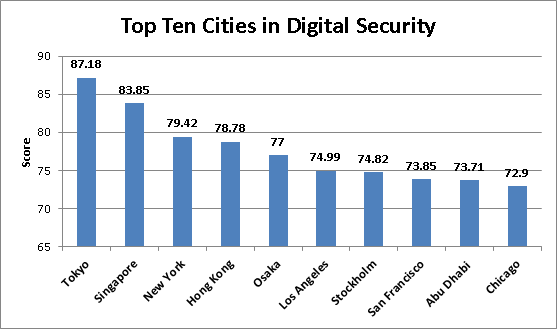 These are the kind of questions that matter when ranking a city’s digital security. North American cities, as well as places like Tokyo, do well here. 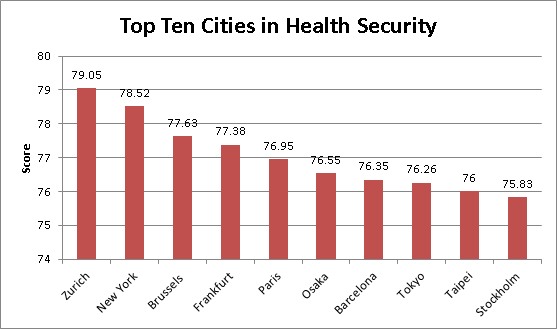 How many hospital beds per 1000 population does your city have? How many doctors per 1000 population? How well-run and able to respond to major disasters like an earthquake or a nuclear accident or some other natural disaster or pandemic outbreak, like Ebola, is your city’s health care system? 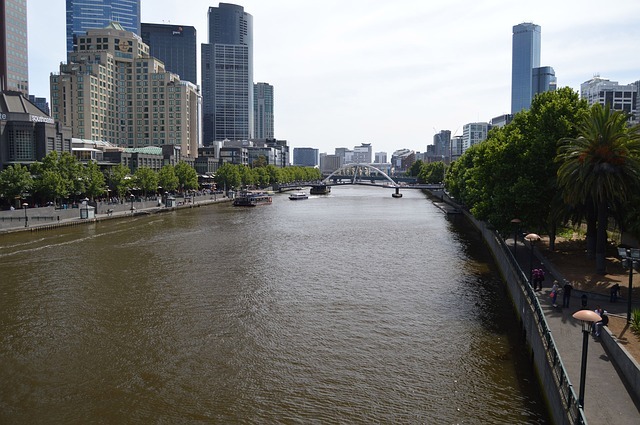 How clean is the air and drinking water in your city? European cities tend to do best in this category. How well-run is the transport system in your city? The roads as well as public transportation systems? As well, power generation systems are key in making sure the lights stay on, as well as the information systems necessary to keep the traffic lights running smoothly, for example. How many pedestrian deaths are there per 1000 population? How earthquake resistant are the buildings in your city if you live in a fault zone? A broad mix of cities do well in this category: European, Australian, some Asian and some North American cities like Montreal and Toronto. Where Do Asians Live in Canada? How likely is violent crime in your city? How engaged are the local police forces with urban communities? How prevalent is gun ownership and does it have an impact on violent crime levels? Is drug use widespread and do criminal groups influence the level of safety in your city? 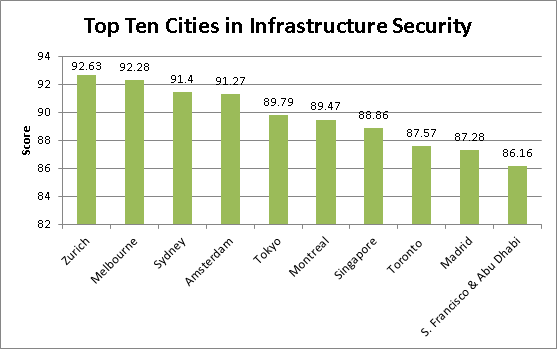 Asian cities clearly top this category, especially wealthy ones like Tokyo and Singapore. 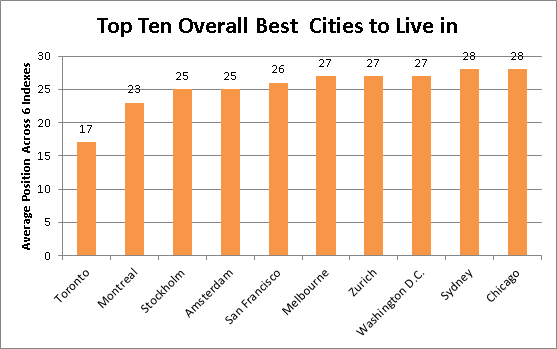 Toronto makes it into the top 10 in this sub-category along with Stockholm, Melbourne and Sydney. Canada and Australia clean up in this survey with only 2 European cities making it into the top ten: Vienna and Helsinki. Vancouver comes in top with Melbourne 2nd, Vienna 3rd, and Toronto 4th. Auckland rounds out the group. When you combine these 2 indexes with a Cost of Living index for each city along with Country-specific indexes that rank: the Business Environment, the Level of Democracy, and the Global Food Security Index of the countries in which the cities are located, then you get an overall view of where the best places to live in the world are. 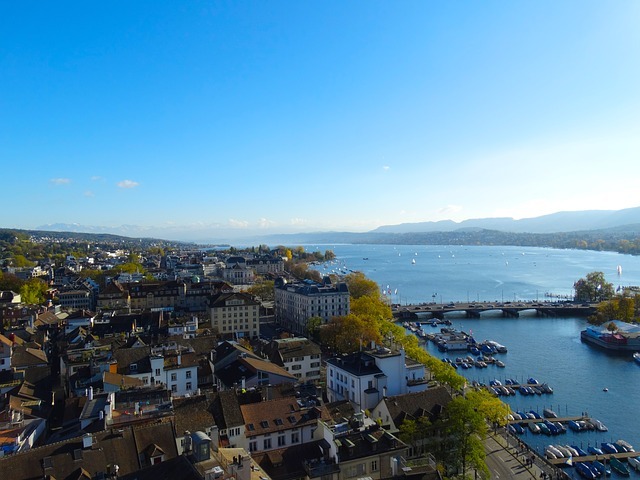 Guess which two cities top the overall rankings? Sydney and New York? Paris and London? Nope. It’s Toronto at number 1 and Montreal at number 2! Let’s consider what this means. 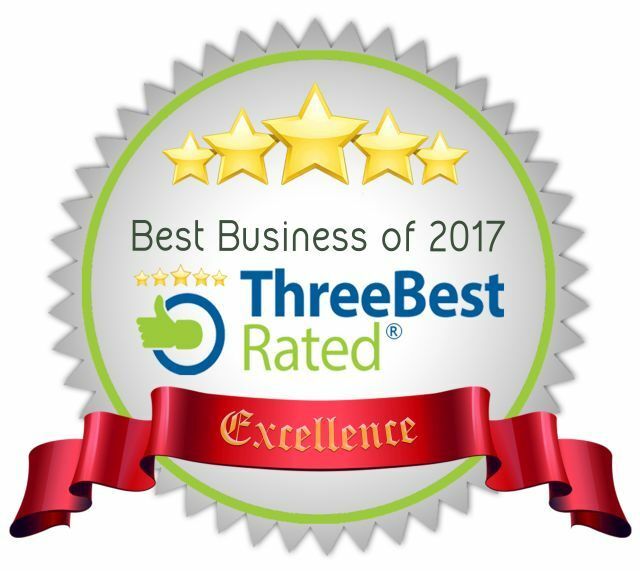 Neither city tops any of the categories listed. But on average, their combined rankings in each category, when added up, place them ahead of the rest of the cities in the EIU survey. 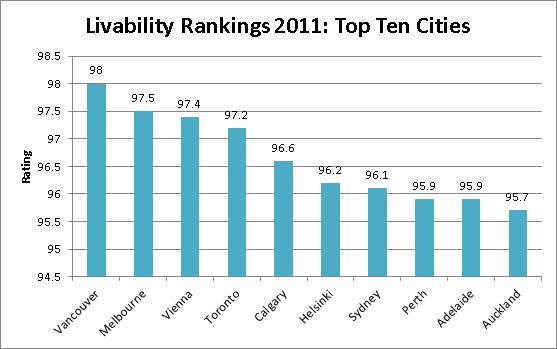 For example, Toronto does best in the livability and business environment surveys, coming in at number 4 in both. In the Safe Cities index as well as the Democracy index and the Global Food Security index it comes in at number 8. And in the Cost of Living index (where less is better) it comes in at 70, a screaming bargain if you add up the rest of the benefits of living in Toronto. 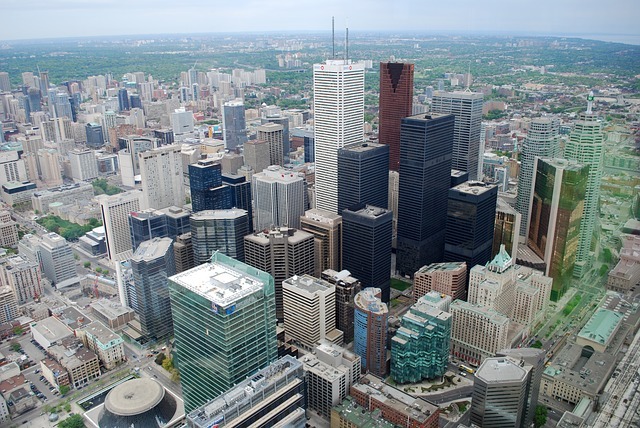 For example, comparable cities in terms of size and wealth like Sydney, (127), and Melbourne, (123), are substantially more expensive to live in than Toronto. Montreal has similar but slightly lower rankings across most categories except the Livability index where it comes in at number 16, well below Toronto’s ranking at number 4. 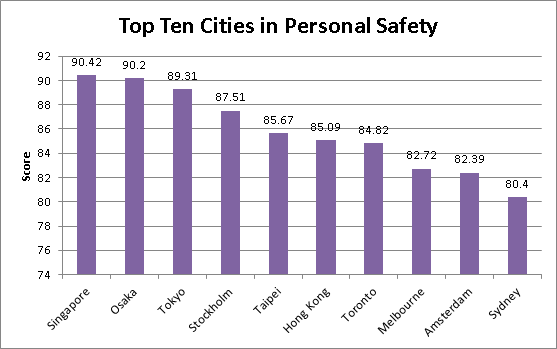 In other words, while Tokyo might be the safest city, Stockholm the most democratic city, Melbourne the most livable city, Singapore the most business-friendly city, and New York the best in terms of food security, Toronto does well enough in each category to come out on top overall, with Montreal right behind. Think of it like a decathlon where you have to keep in mind the overall rankings and the results from each event, and see who beats who in the final agonizing 1500 metres, not who actually wins that race, to see who ends up on the podium. Just in case you were wondering, Mumbai is the best city in terms of cost of living, but comes in 44th in the overall rankings. Managing a successful city is a very complex task nowadays and coordinating across a wide variety of areas to produce positive results is vital in order to achieve that success. For now, Toronto sits at the top. The city will have to manage, innovate, and improve at an accelerating rate to keep its cherished position. You can be sure that rivals like Montreal, Melbourne and Sydney will have a say. As will the giants like New York, Tokyo and London. Competition, they say, is a good thing. Read the full report from the Economist here.